Store all of your contacts in one place. This feature allows you to reject incoming calls from parties who have blocked their directory or identifying information. This feature allows you to transfer incoming calls to another telephone number by dialing a code and the telephone number to which calls are to be transferred. You will have a record of all incoming and outgoing calls. You are able to identify your caller before picking up the phone, allowing you the convenience of choosing which calls to take at a time that is right for you. This feature even works when you are already on the phone and a 2nd party calls in. When you hear the Call Waiting tone, your 2nd party’s identifying information will display, just as it would if you were off the phone. This feature allows you to have all incoming calls redirected to your Voicemail without ringing the phone. Use this feature to forward specific callers to specific locations and numbers. You can chat with two people at once. 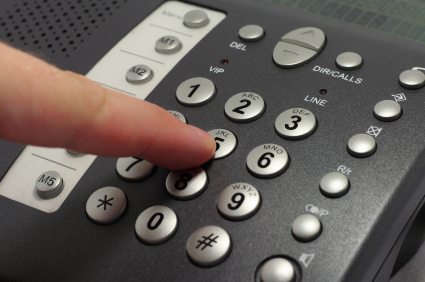 A great feature that allows you to have a second phone number that rings to your primary line. You can even give the second number a different area code, which means your friends and family living far away can call you for the price of a local call. It’s just for incoming calls, so any calls you make will be still be coming from your primary number. At the moment we only offer domestic US numbers for virtual numbers. PLEASE FILL OUT THE SUBSCRIBER AGREEMENT (79KB PDF) AND BRING IT WITH YOU TO OUR OFFICES WHEN SIGNING UP FOR DIGITAL TELEPHONE.